The laptop is quite demanding on the batteries, but the Raspberry PI is not. 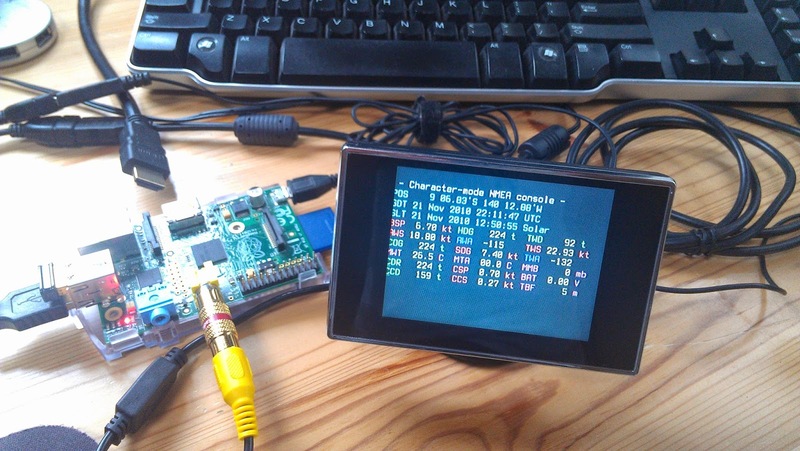 Being written in Java, the console runs - theorically - also on the Raspberry PI. 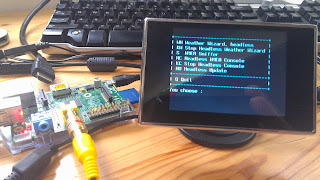 This is true, but the Swing UI is definitely too demanding on the RasPI. Well, the is now available in character mode, driven by the file named char.console.properties. 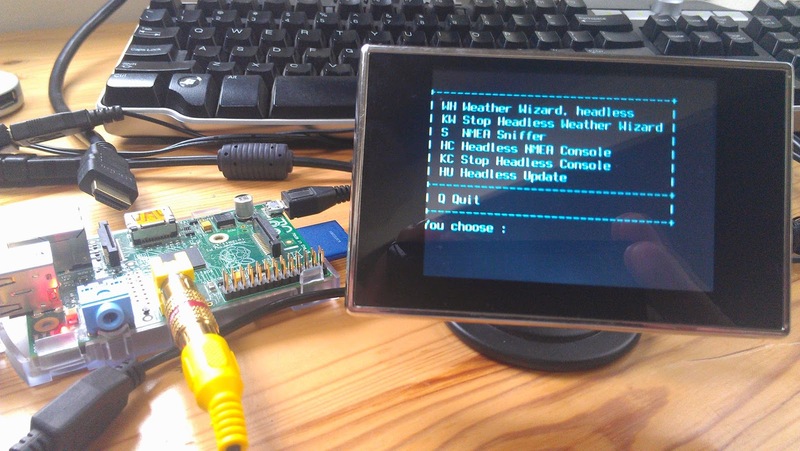 Notice on the screen, some data come from some sensors that can be attached to the RasPi, like air temperature, atmospheric pressure, battery voltage. The RasPi can rebroadcast the NMEA - and calculated - data on TCP, UDP, http, etc. 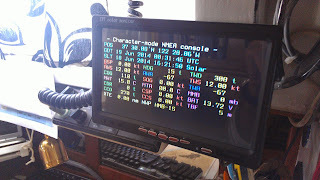 So, the laptop can use them (from OpenCPN for example), as well as tablets or other devices, as shown in earlier posts. All this - along with the routing on archived GRIB files - is available in a new version (3.0.1.4), available at the usual place (Navigation Desktop, and Weather Wizard). One detail though, Google Code does not support the downloads anymore, I moved the new ones to Google Drive. Use the link you'll find in the "Featured" section on the project pages.